I’m getting about the country with PR work these days. Here’s me at the House of Lords this week (although you wouldn’t realise it from this picture) at a Parliamentary Event for the wonderful charity Addaction – to challenge stigma against people with drug, alcohol and mental health issues. Happened to bump into Mary Glindon MP for North Tyneside so we decided to have a North East Lasses picture together. 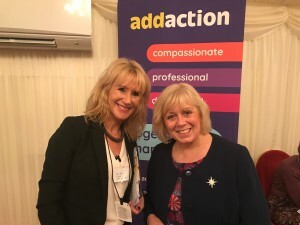 It was a great event with lots of prominent people present and our Addaction message really hit home.